Hello and welcome to day #2 of TCM February Release Preview! 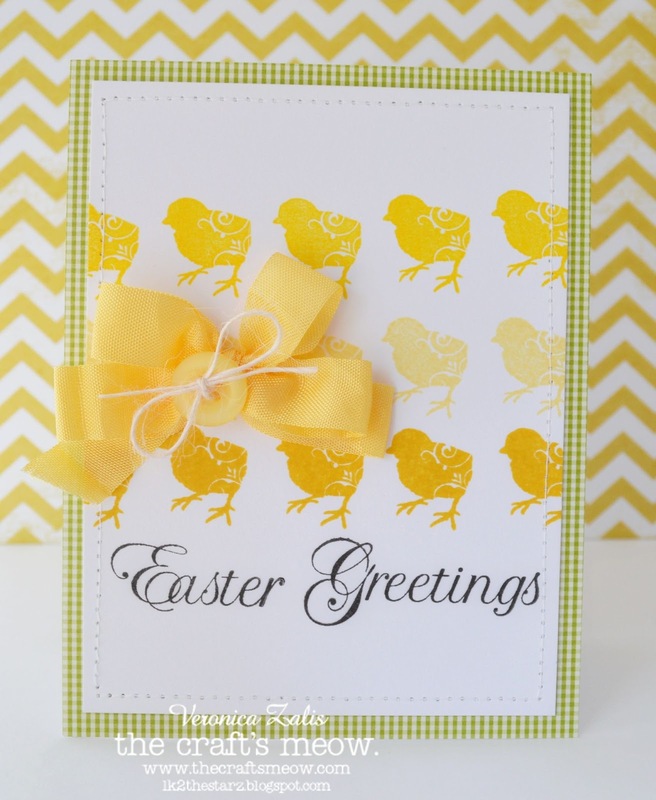 Today we are giving you a peak of the beautiful Easter inspired stamp set "Easter Blessings". This set is the perfect Easter stamp set! 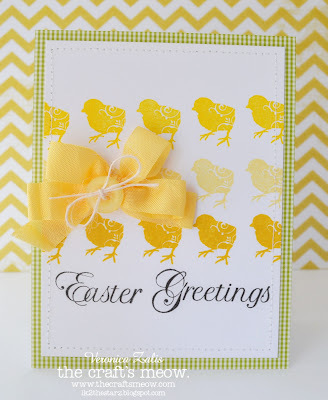 I used the "chick" and a sentiment from the set to create my card. I'm happy you stopped by and I hope you have a great day! um...you didn't tell me abut this little chicky stamp! I love him!! LOVE these chicks in all shades of yellow - pinning this one! Oh my goodness...those chickies are utter cutenes!! Love this! Ah, love those little chicks, FUN design Veronica! aww how totally cute.. I love those little chickies...adorable.